There are few things better than seeing my own children and the students in my care get grubby in the garden, enjoy the natural world around them and learn about how to care for the earth. The only thing that can top this for me is seeing them also enjoy and learn about sustainability though literature. 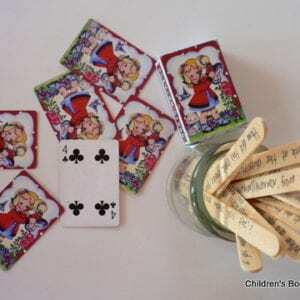 As a librarian, it is probably no surprise to you that I like to start most ‘experiences’ for children with books, read with a loved and trusted adult. Literature is the best way I know for children to learn about new experiences, explore ideas, wonder, imagine and stretch their understanding. There is much to be said about learning by doing, but there is also much to be gained from exploring words and images in beautiful, age-appropriate literature. I recently met Costa Georgiadis, host of ABC’s ‘Gardening Australia’ and the garden gnome on ‘Get Grubby TV’ and I was so inspired by all he had to say to the students he met and the teachers he spoke with. Costa is a wealth of knowledge and a passionate advocate for sustainability and he won the hearts of the librarians in attendance when he spoke of the barrage of information students experience everyday and filtering through that information to make informed decisions. He talked with incredible passion about knowledge, and emphasised that once you know something, that knowledge can’t be taken away from you. Information comes at our young people thick and fast through television, mobile technology devices and the digital games they play…and while there is much to be said for technology, there is also an incredible beauty in the power of a book, read with a loved adult, and taking the knowledge gained out into the garden or the big, wide beautiful world. 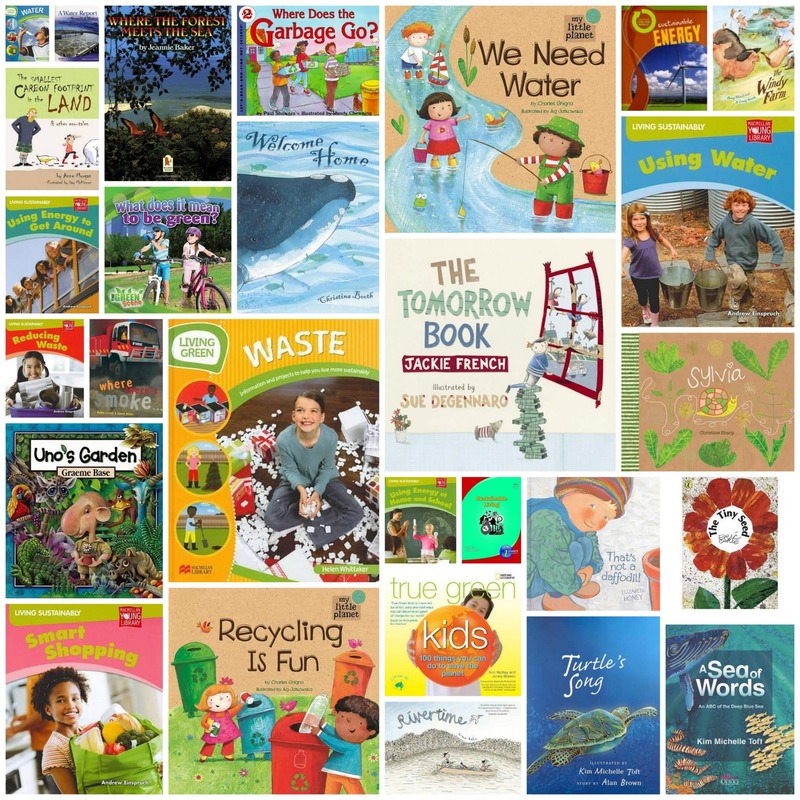 So today I want to share with you some of the books that I have been compiling over the last few years which focus on gardening with young children, issues of the environment, and sustainability in general. 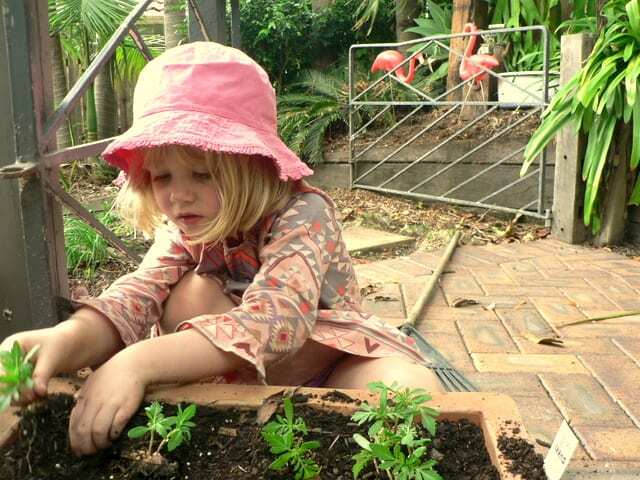 Sustainability is a cross curriculum priority in the Australian Curriculum and the Early Years Learning Framework (EYLF) has connectedness as a learning outcome; kindergarten children are connected with and contribute to their world when they…become socially responsible and show respect for the environment. Literature which supports these curriculum priorities is an excellent starting point for both teachers and students, and now more than ever our home, school, kindergarten and childcare libraries should be stocked with books which support these principles. Many of the gardening projects which I undertake in my own school kitchen garden and at home are inspired by books. 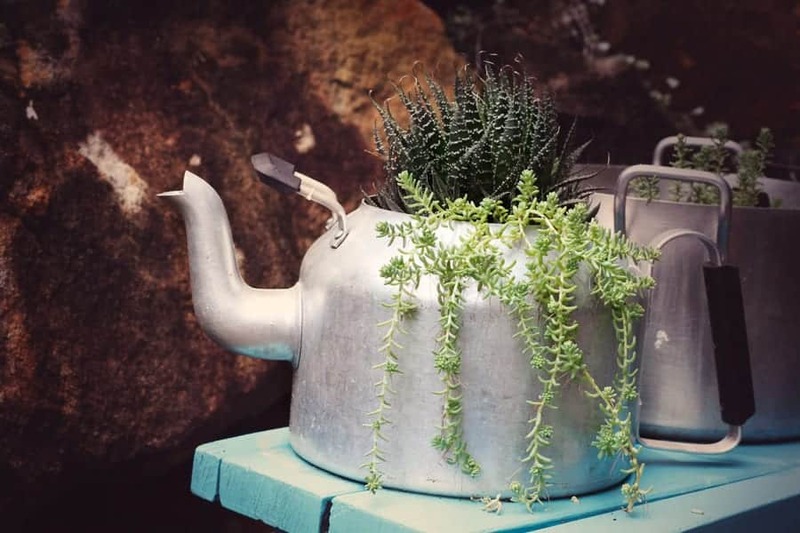 Our most successful gardening projects at home have been our worm towers, our carrot pots and our fairy garden, which could just as easily be a dinosaur garden if that’s your preference. Two years on, our fairy and dinosaur gardens are still flourishing and are easily the most played with ‘toy’ in our collection – usually accompanied by two children dressed up as pirates…we’re going through a pirate phase; sustainability pirate anyone?! 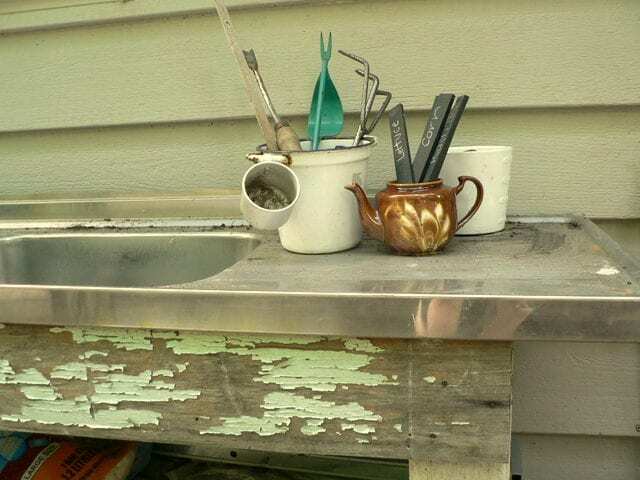 The worms are a constant source of entertainment, the chooks in our backyard are often read to and feature in stories my children tell me and we regularly fill old teapots with succulents and grow carrots or lettuce in pots on our front deck. None of these things take huge amounts of time, effort or money…but the benefits for my children are obvious. At school, we use books and seed catalogues to plan our crops, find out information about how to grow our crops, we hunt down recipes to cook with our harvested corn, tomatoes and coriander and with the younger students, a book will often inspire an outside activity…after reading ‘Eco Warriors to the Rescue’, the Prep students and I searched out as many native plants as we could in our school landscaping and picked up litter along the way. Kindergarten students have greatly enjoyed reading ‘Yucky Worms’ and a variety of non-fiction books on worms and composting. The group have established their own worm farm and are planting more and more edible and native plants in the kindergarten playground. 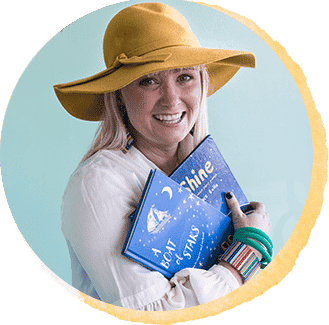 The kindergarten teacher and I work together closely, ensuring that at all times there are books available to our youngest students which encourage their interests and extend their understandings of the world around them. For example, when they spied a birds’ nest up high in a neighbour’s tree, they came straight to the library to borrow books about bird homes, and types of birds which may live in Brisbane. 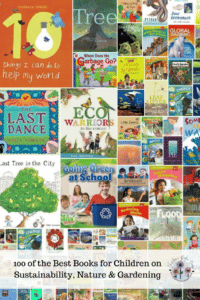 Over several years now, the school library and community has had a focus on developing our collection of books which support sustainability. The collection is ever-growing and is used regularly by staff, students and the parent community who see this as a natural extension of how we live responsibly. 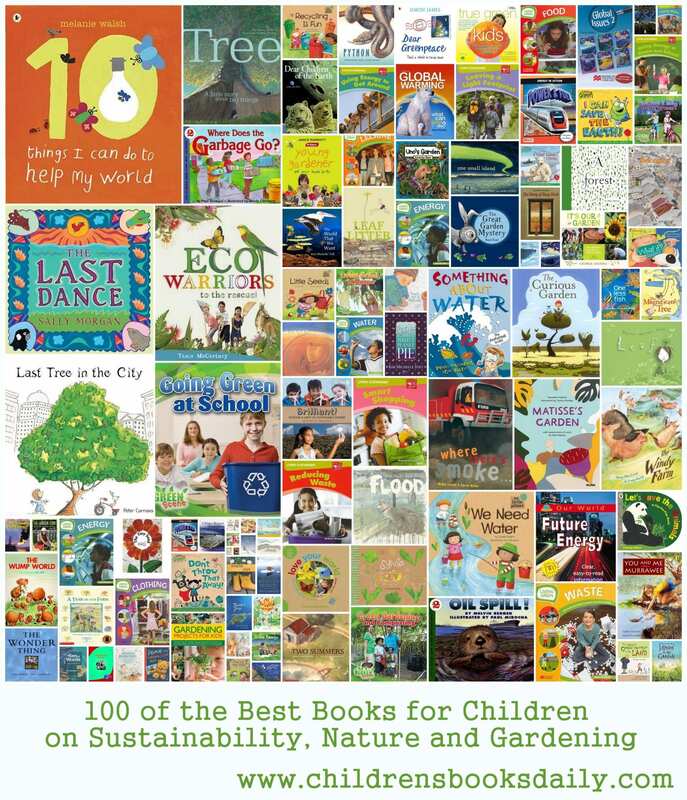 The 100 books below are just the start of our extensive collection for our early childhood and primary school students. 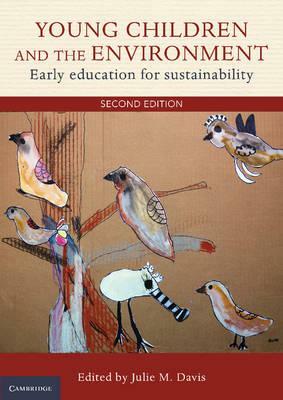 I also highly recommend as a teacher reference title, ‘Young Children and Their Environment’ (see here)…and not just because my child did the artwork on the front cover! 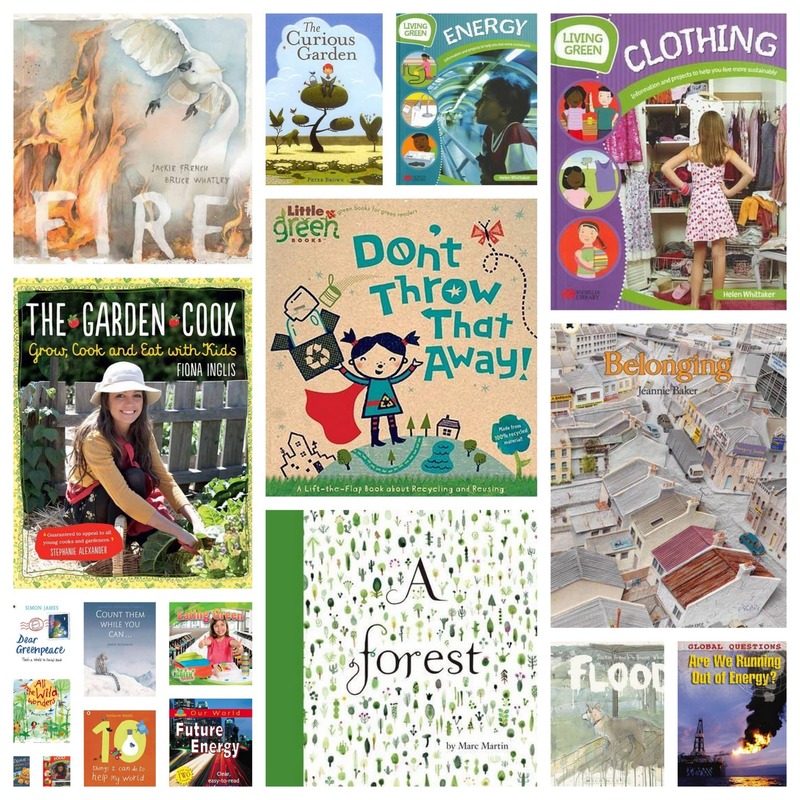 The Environment Award for Children’s Literature is also a fantastic place to start when developing your collection of books supporting sustainability and you can read more about the awards and how young people can be involved here. 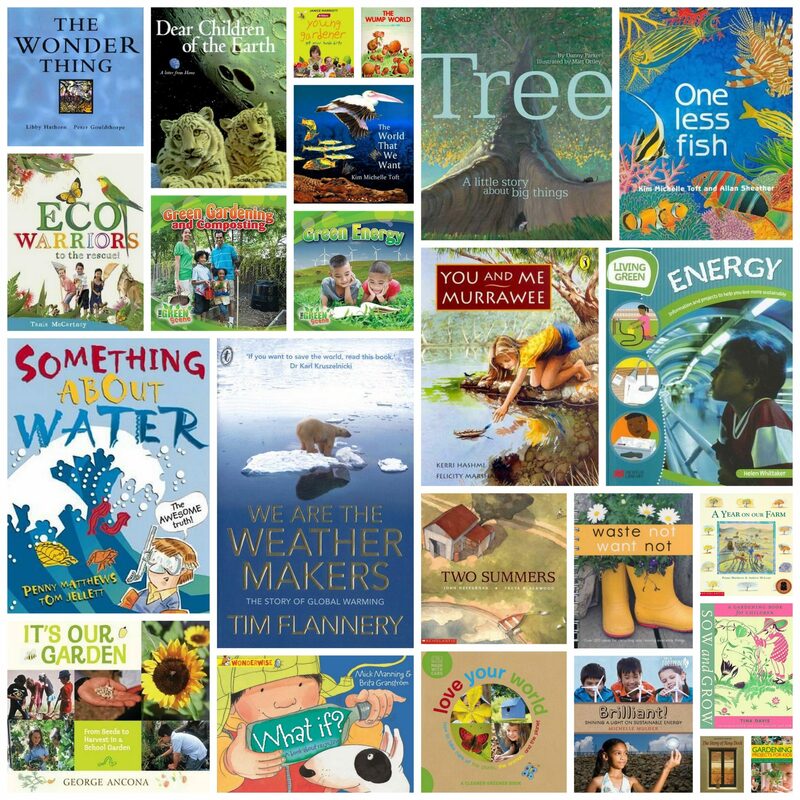 The Wilderness Society manages this award and they state: We believe that children’s books have a profound effect in shaping who we become as grown ups. The stories we read and enjoy as kids impact the adventures we take, the way we see and experience our landscapes, and sometimes our outlook on life. 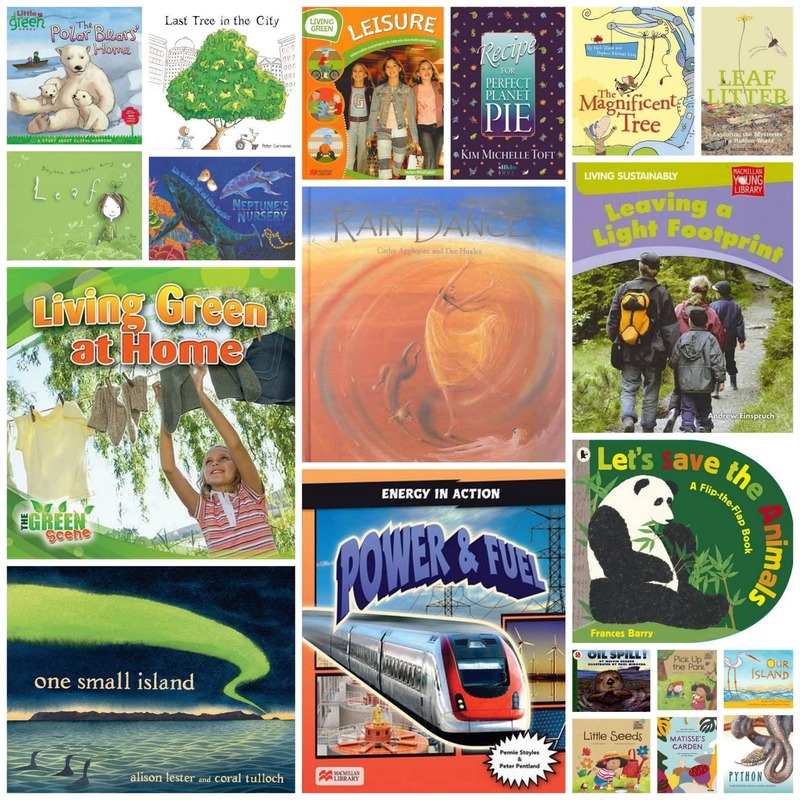 Promoting a love of nature in children is one of the fundamental elements to building a society that respects and protects our unique landscapes, and we want to celebrate books that promote a love of nature, a sense of caring for the world, and curiosity in children. Fairy Houses Everywhere. 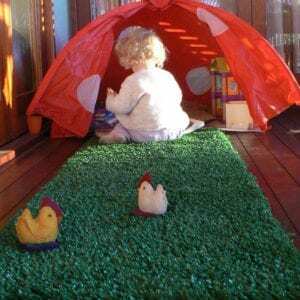 For more on fairy gardens and houses see here. Global warming: what can you do? Yucky Worms. My Full review can be seen here. This post was part of my voluntary presentation for the Qld Early Childhood Sustainability Network who you can connect with on Facebook here. Great Article, I shared it on my google plus page. I think it is important to show children ways to help our environment so that they become good stewards of the earth and help to pass on this way of thinking to future generations because, after all, this is about them. Thanks so much for sharing! I think it’s super important as well!!! I was inspired by the talk you gave at the QECSN day recently and immediately thought of a blog I had just posted with my favourite end pages included! I thought you might like to see them. It’s about the illustrations I’m doing (well changing actually) for a book I’ve written for my kindergarten children about picking flowers. Something that seemed to resonate with the other educators on the day. Hope you like the end pages! You CLEVER CLEVER chook! LOVE IT! Thank you so much for this list. I hope you don’t mind but I have shared it with other teachers in my district interested in Environmental Education and Sustainability. I have a copy of the list always on hand and am using it to add to our schools resources.